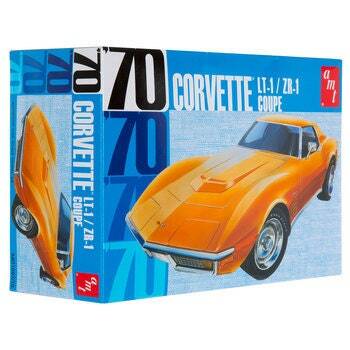 Build the vintage ride of your dreams with 1970 Chevrolet Corvette Coupe Model Kit. This kit includes the pieces you need to create a sleek car with a detailed LT-1/ZR-1 hood, hood stripes, body emblems, and either Goodyear or red line tires. Assemble, display, and complete your collection!